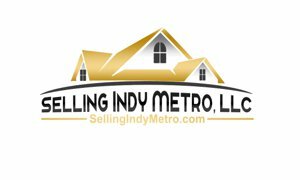 Listing your Indianapolis area home for sale. Selling Indianapolis home. 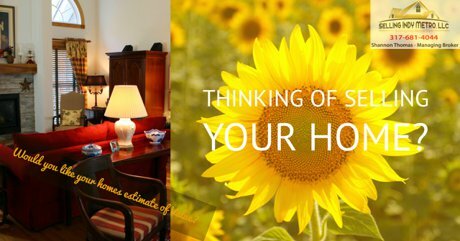 Listing your Indiana home for sale information. Would you Like an Estimate of Value? Curb appeal - You want your home to appear welcoming. Trim your bushes, mow the lawn, clean out the gutters, shovel that snow from the walkway! Depersonalize - Take down the family photos so that new owners can better picture themselves in your home. Pack up that 70's era metal lunchbox collection, it may need to live in a box for awhile. Remove your personality and egos from the home, the home needs to speak to the buyers now. Declutter - Time to put up your trinkets, put away large DVD/CD collections, take the books from the bookshelves, clear off those kitchen counters! You need to start packing anyway, here is your reason to get started now. A place for everything and everything in it's place. Buyers will open your cabinets, refrigerator, closets, you name it. They are picturing their stuff in there. Leave them pleasant vignettes to view, not chaotic clutter. Pare down if necessary, you may be a gourmet chef but don't have so many kitchen implements that your drawer doesn't open easily. Make your home seem simple to live in.You may need a storage unit to place these items until your home sells. Remove - If there are things you want to take with you, take these items out and store elsewhere any item attached to the home goes with the house and any item the buyer falls in love with could end up in the offer. Clean Up - Time to step up on the repairs and cleanup. Fix that leaky faucet or that toilet that keeps running, shine those faucets. Clean windows now, make sure that the view is as clear as the choice to buy your home. The name of the game is keeping it clean, vacuum, sweep, and change your cat box daily. Yes, it's a lot of work, but the better job you do, the better job your realtor can do selling your property. Repair broken items. Door knobs, Handles, etc. Your front door is the first impression. When the door is hard to open, sticks, doorknob doesn't work, what else doesn't work. Light fixtures and ceiling fans working properly. Make sure all light bulbs are working. Brighten the house with plenty of light for showings. Replace bulbs with higher wattage bulbs. Add a few plants, plants are welcoming and clean the air. Touch up paint or repaint. Neutral is best. 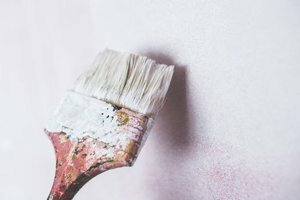 clean or paint Dirty walls and woodwork. Fresh clean space sells. Hide the Valuables - If it's sentimental or valuable, remove or hide. Price your home right - A home that is priced right, clean, in good condition sells. Call, text or email us for more information or request a listing walk-thru of your home. 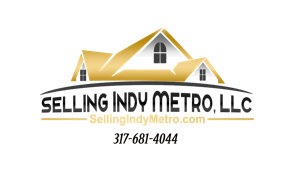 Selling Indy Metro, LLC has the experience, enthusiasm, diligence and committed Real Estate professionals with all the tools and expertise to work with you personally and confidentially as a team to sell your home. We are committed to communication with the homeowner from the beginning, including staging, pricing, listing, marketing, showings, Contract, inspections, appraisal, and closing. We offer free Customer Market Analysis for your neighborhood and for your zip code to help you to evaluate the listing and selling price you should expect.